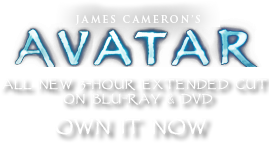 Cynaroidia glauca | Pandorapedia: The Official Guide to Pandora | Own AVATAR on Blu-ray & DVD Now! Glands covering the surface of the plant are actually glandular hairs, or trichomes, that contain a toxin that causes dermatitis on contact. The Na’vi are careful to avoid stepping on the leaves that grow flattened against the ground in a rosette form. When contacted the hairs break off and remain lodged in the skin, where the toxin causes unbearable itching. The seeds of thistle bud are large and edible and used as a food staple for the Na’vi. They are harvested very carefully to avoid contacting the glands on the plant surface. An easy harvest method is to wait until the seeds are mature and whack the stem below the inflorescence with a stick, causing it to fall to the ground where the seeds can then be collected. Whoever is collecting seeds often has to compete with animals that also find them a valuable food. Taxonomy Cynaroidia glauca. Named for resemblance to artichoke thistle on Earth (Cynara) and chalky surface of the plant. Same genus as hermit bud and lionberry. Botanical Description Large herb with gigantic flowering bud. Leaves grow close to ground and only the flowering stem elongates. Chalky appearance due to surface glands. Ecology Glands on leaves and bud contain substance that causes skin rash on contact. Thistle bud is alien plant introduced accidently from Earth and weedy on Pandora.